In addition, they will carry a curated selection of home goods and gifts that are sure to bring smiles to your faces and brighten homes. 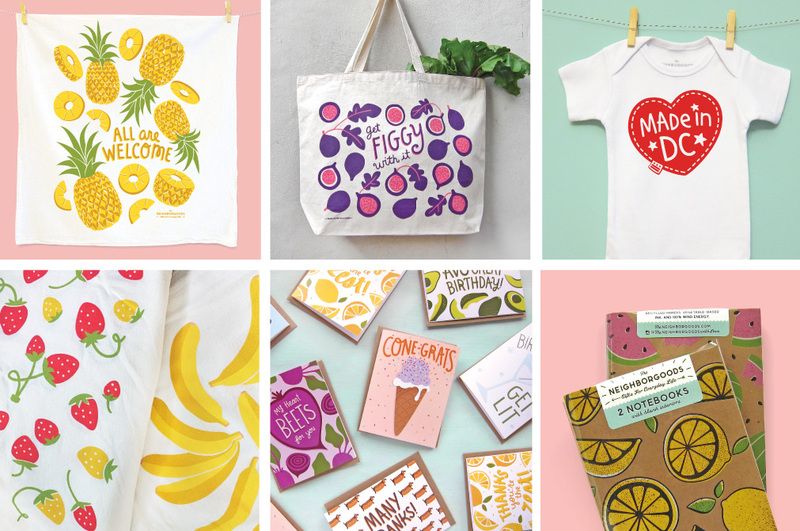 The Neighborgoods will be a one-stop-shop to pick up witty and unique gifts for any and all occasions. 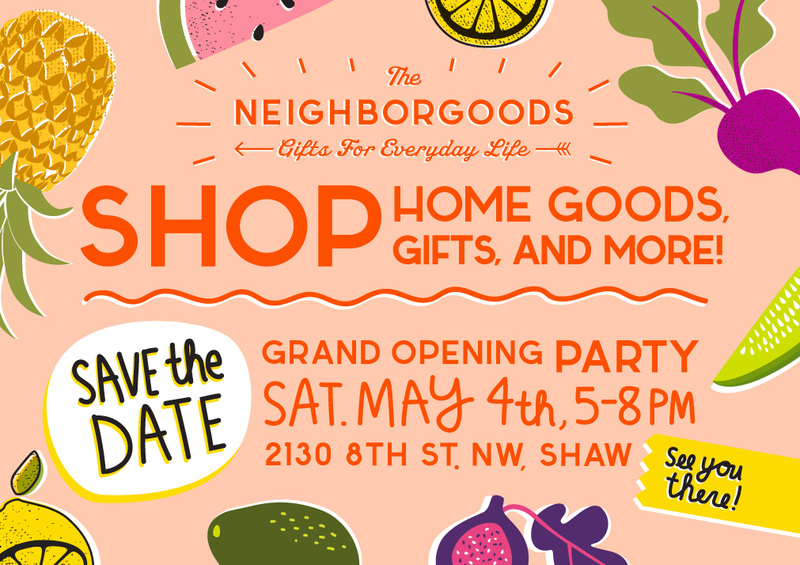 A grand opening party will be held at the store on Saturday, May 4 for community members, fellow DC makers, and friends. 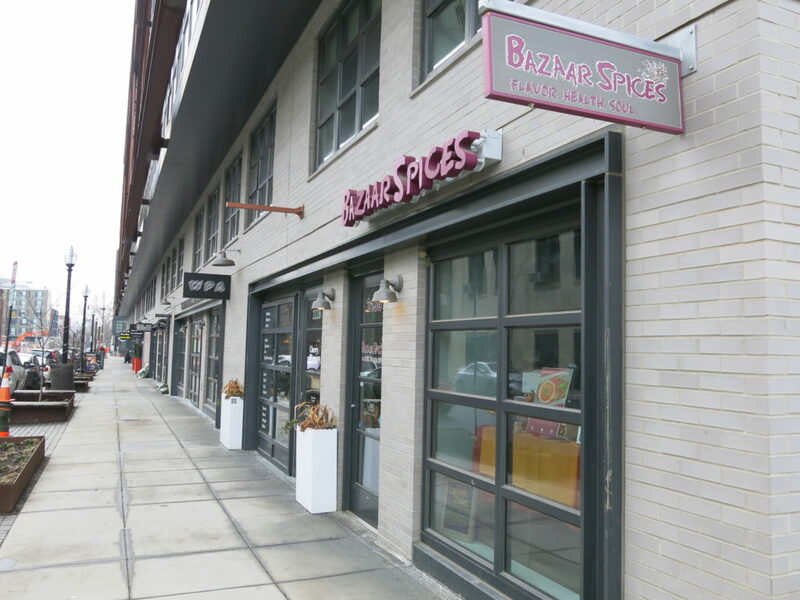 The doors will open at noon with local Compass coffee and Poppy’s bagel bites for afternoon shoppers, and then sips and sweets will be served from 5-8pm to celebrate.